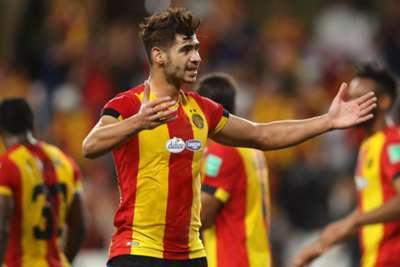 Chamseddine Dhaouadi's decisive spot-kick in the shoot-out ensured ES Tunis won the Club World Cup fifth-placed play-off against Guadalajara 6-5 on penalties, despite having two men sent off in normal time. The contest had finished 1-1 in normal time and Guadalajara had brought on substitute goalkeeper Miguel Jimenez Ponce for the penalties, but he was sent the wrong by Dhaouadi after Isaac Brizuela had blazed the Mexican side's eight spot-kick over. Guadalajara had led through a penalty - Walter Sandoval converting inside the opening five minutes - before Mohamed Youcef Belaïli replied from 12 yards for Es Tunis prior to half-time. Belaïli took Es Tunis' first penalty but was denied by Jimenez Ponce and though he saved Saad Bguir's effort too, Hedgardo Marin and Jose van Rankin both missed for Guadalajara.